Lauren's Boookshelf: March 2018 Book Haul! Hello everyone! Today I have my March book haul for you guys! Now, it may seem like I bought a lot of books this month, but I only paid for 6 of the 13 books that I picked up! In the month of March, I picked up 8 physical books, 4 ebooks, and 1 audiobook. As I said before, I only paid for 6 of these, and most of them were at a discount. 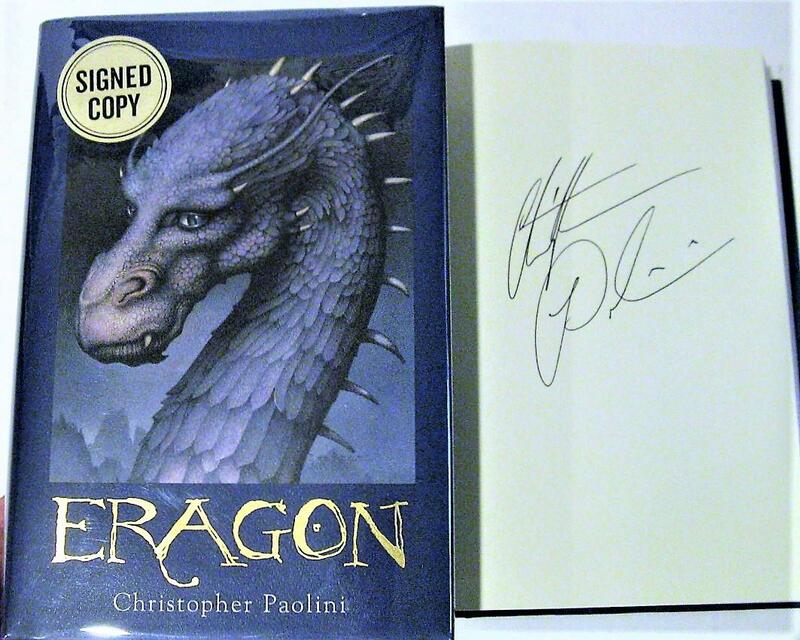 The first book that I got this month was a signed copy of Eragon by Christopher Paolini. I was at Barnes & Noble months and months ago and saw this signed copy and knew I wanted it. My copy of Eragon is beat up and almost unreadable, and I haven't even read the story before, so I've been looking at getting a new edition for a while now. It was just fate that they had signed copies at my B&N. I waited a few months getting this book as a reward for getting through my midterms. Unfortunately, I forgot to take a picture of this book before I came back to college so this stock photo from AbeBooks will have to do. 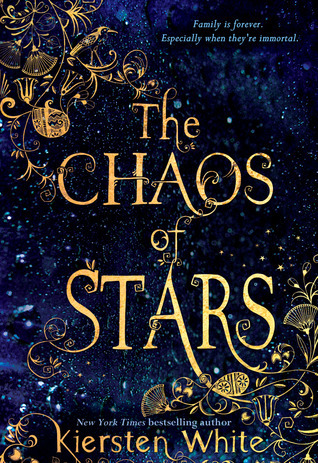 The next book I picked up was The Chaos of Stars by Kiersten White. This book popped up on my radar after it showed up on the Instagram account of one of the people I follow. Originally, I wanted it just for the cover but then I read the synopsis and knew I had to have it. It deals with Egyptian mythology and I'm so excited. Also, there's a super famous quote from it that I've seen circling around and it just makes me that much more excited to read this. I also forgot to take a picture of this book before I came back to college, so this is, again, a stock photo. The next book I picked up was Obsidio by Amie Kaufman and Jay Kristoff. I can't tell you how long I've been anticipating this book. It's been almost two years since I got my hands on an arc of Gemina and read it. I'm thrilled to finally have this book in my hands. I haven't read it yet, though, as I've been busy with review books and I wanted to reread the entire trilogy beforehand. I still have to reread Gemina, but after that I'm diving straight into this one! Plus, my friends when to a signing and got ALL of my books by these authors signed! So now I have signed copies of all of my books. I'm still fangirling. 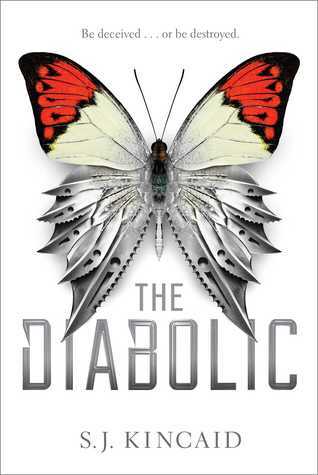 Next I picked up an arc of The Diabolic by S.J. Kincaid. I traded someone on #arcsfortrade on Twitter for this book and I'm excited to read it. They wanted an arc I had that I wasn't too interested in, so I decided to trade for this one as I've heard amazing things and I've wanted to read it since its release. Again, I forgot to take a picture of this one before I left, so this picture is not mine and is one I found through google images. The next book I got was an arc of Brightly Burning by Alexa Donne. This book comes out in May and I'm thrilled to have it already. It was pitched as Jane Eyre in space, and while I've never read Jane Eyre, the synopsis of this book got me super interested in reading it. I traded someone on Twitter for this arc and I can't wait to read it. Hopefully I'll get to it before its release, but that's doubtful. Next I picked up Air Awakens by Elise Kova. I've had this book on my radar for years now and I had a gift card, so I finally just decided to get it. I've heard nothing but amazing things and I've been wanting to read these for so long. I'm going to try to get to it during summer, but my TBR is just so ginormous and I'm unsure if I'm going to fall into my yearly summer slump or not. The next book I grabbed was Children of Blood and Bone by Tomi Adeyemi. This book recently came out and I've seen nothing but amazing reviews. Everyone seems to love it and between the stellar reviews, synopsis, and how much I've fallen in love with this debut author after following her journey on Twitter, I knew that I had to pick it up. The cover is stunning and just everything about the look and feel of this book is top notch. I can only hope that it will live up to my expectations. The last physical book I got this month was a UK arc of The Bone Season by Samantha Shannon. I, again, traded someone on Twitter for this and I'm super excited to have this in my collection. I love this series and I know that this is a highly coveted arc and hard to find, so when I had the option of trading what I had for this, I knew that I had to take it! I can't wait for summer when I can put all of my Samantha Shannon books on the same shelf again! 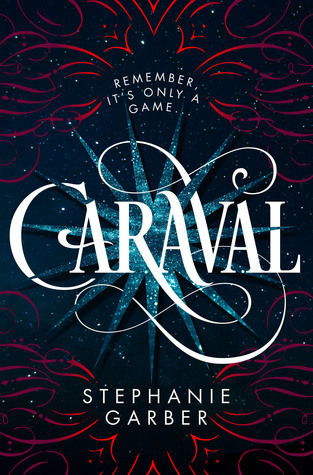 The first ebook that I picked up this month was Caraval by Stephanie Garber. It was on sale for $2.99 and I knew that I wanted to reread it before I got around to reading Legendary. 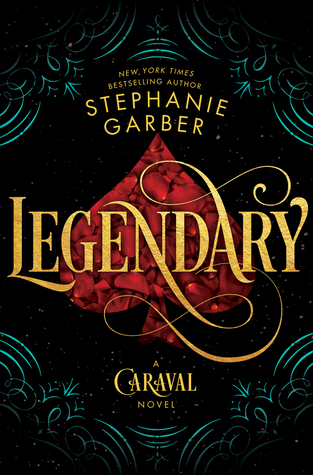 Speaking of which, I got sent an e-arc of Legendary by Stephanie Garber to review. I'm currently reading this book and I'm enjoying it for the most part. I'll put more thoughts in my review, but I'm still super happy to have this book, especially two and a half months before release on May 29! 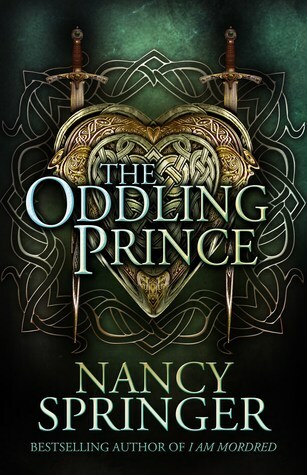 I also got sent an e-arc of The Oddling Prince by Nancy Springer. I saw this on Netgalley and it looked interesting, so I read the synopsis and decided to request it. I'm super excited to have this book early. It releases May 15th, and I'll be reading and reviewing it in April so stay tuned! 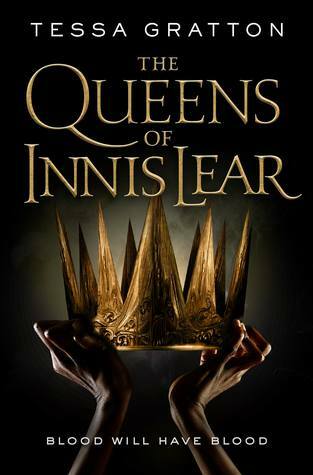 The last e-arc that I got sent this month was The Queens of Innis Lear by Tessa Gratton. This book has been on my radar since December and I'm super excited to have a copy of this to review. It already released at the end of March, but I will be reading and reviewing it in the next couple of weeks so make sure to keep an eye out! 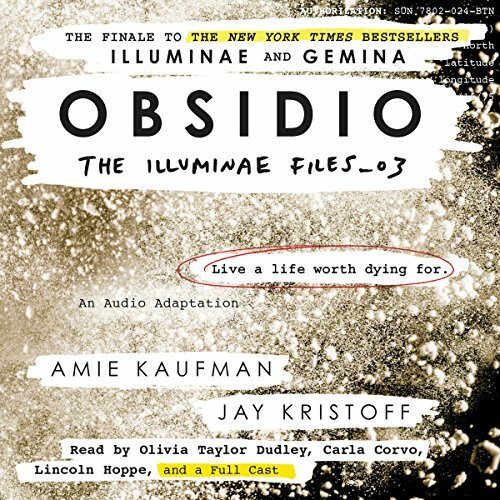 The only audiobook I picked up this month was Obsidio by Amie Kaufman and Jay Kristoff. 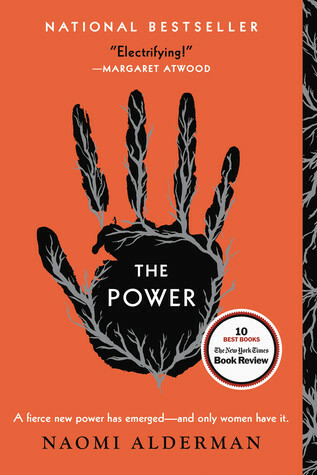 I love the audiobooks for this series, and I found out that changing your payment method on Audible makes you eligible for a one-month trial even if you've been subscribed before. Hallelujah! Therefore, I didn't pay for this audiobook but I'm super excited to have this in my collection! I will definitely be audiobooking this book in the future, after I read and see all the beautiful artwork in the physical copies! Thanks so much for reading! I hope you enjoyed this haul! I don't know where you find all of these books but I am really became fan of your blog. I am fiction and romance book lovers and You had such a great book collections. I want to read all of these. I will Download eBook copy for me and starts reading the novel. Thank you so much! I hope you enjoy these books!